insurance. Joint £32 (underground insurance extra). Archive collection: An extensive archive of books, articles, maps and mine plans is maintained in a purpose built library and is available to members, and also non-members by appointment. Artefact collection: On display at the John Ruskin Museum, Coniston. or access controlled: Keys held for Levers Water and Hudgill Burn mines. Mandels Slate Office, Coniston and Roan Head store, Low Furness. Current projects:	 Exploration, surveying and archaeology of the Hudgill Burn Mine. 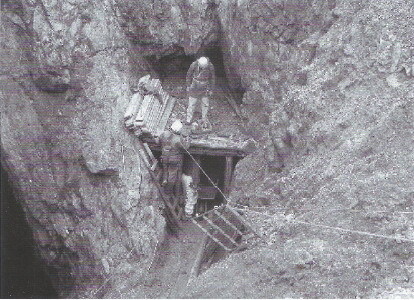 Survey and recording of Paddy End Mine and other Coniston mines. Consolidation of the Newlands iron furnace. Survey and recording of mining remains of Low Furness. Securing and maintaining Lucy Tongue Level, Greenside. Developing novel systems for recording underground survey results. Services:	 Lectures, guided walks, education and restoration. Technical advice on: underground areas, preservation, conservation, geotechnical, mine archaeology and underground excavation.